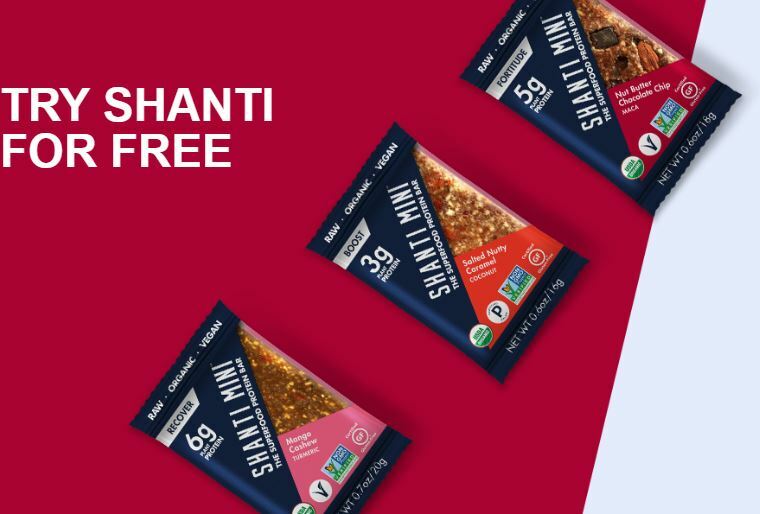 SHANTI BAR is real, transparent, organic, nutrient dense, high plant protein, super performance superfood packed and out of this world DELICIOUS! Once you go SHANTI BAR, you never go back. Click “Click here” button and fill out the form to get a FREE sample of Shanti Bar Organic Superfood Protein Bar.